Emerald green lawns surrounded by swaying palms and beautifully coloured hibiscus, frangipani and bougainvillaea flowers provide the perfect backdrop for a Fiji wedding at Myola Plantation. As you look out to the ocean, the sweeping panorama of pristine coral reef and the vast blue waters of the Pacific Ocean will take your breath away. Myola Plantation is located 40-minutes from Fiji’s international airport. Accommodation at Myola Plantation is natural and breezy. 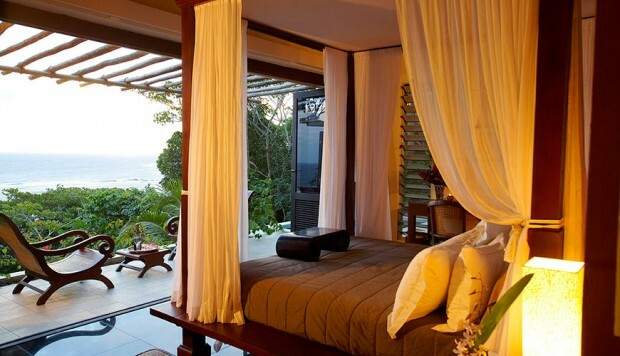 There are two king-sized suites, each with its own ensuite, balcony and private plunge pool. There is also a restaurant, spa, and swimming pool on-site.